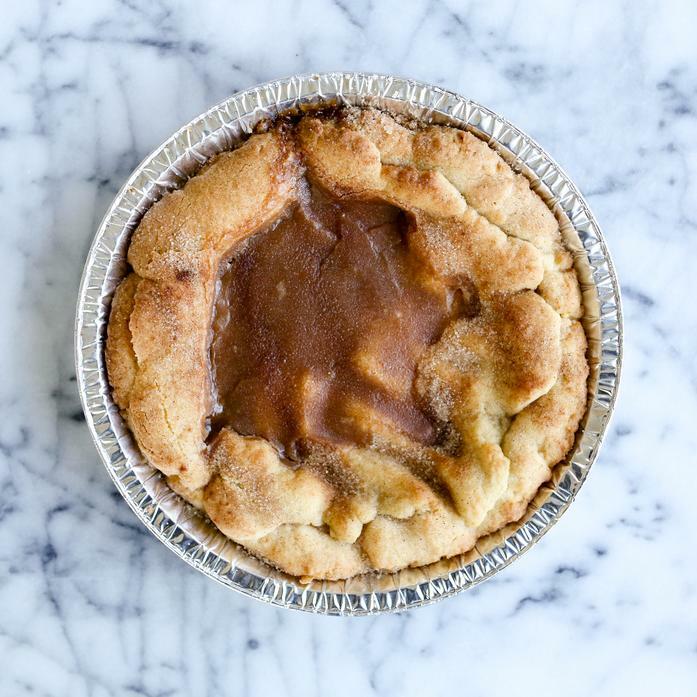 The only thing better than a cookie, is a cookie in pie form! This soft and chewy sugar cookie is topped with a homemade honey caramel sauce. Made using all-natural, fair-trade ingredients by Susan Palmer, a 2x winner of the Brooklyn Cookie Throwdown! Ingredients: Organic flour, organic cane sugar, caramel sauce (organic cane sugar, organic heavy cream, organic butter, organic honey, pure vanilla extract (water, alcohol(35%), sugar, vanilla bean extractives)), organic butter, organic eggs, cinnamon, cream of tartar, pure vanilla extract (water, alcohol(35%), sugar, vanilla bean extractives), baking soda, kosher salt.